Jesse and Edmund James Rest Peacefully in Elmwood Cemetery! 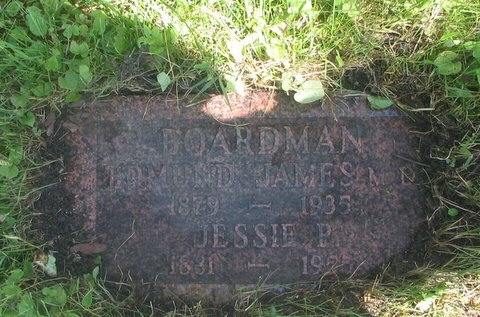 Edmund James Boardman died suddenly on 12 May 1934 in Saskatoon, Saskatchewan. The Winnipeg Free Press placed an obituary for him on the front page with a photograph. Doctor Dies – Picture – Caption – Dr. E. J. Boardman, prominent Winnipeg physician, who died suddenly, Sunday morning, from heart trouble, when on a visit to his daughter, Mrs. P.D. Campbell, at Saskatoon. Prominent Physician of City is Dead, Dr. Edmond James Boardman etc…..
Dr. Edmond James Boardman, prominent Winnipeg physician, a former president of the Manitoba Medical Association, and one of the leading members of the Masonic Order, died suddenly Sunday morning while on a visit to his daughter, Mrs. P. D. Campbell, at Saskatoon. 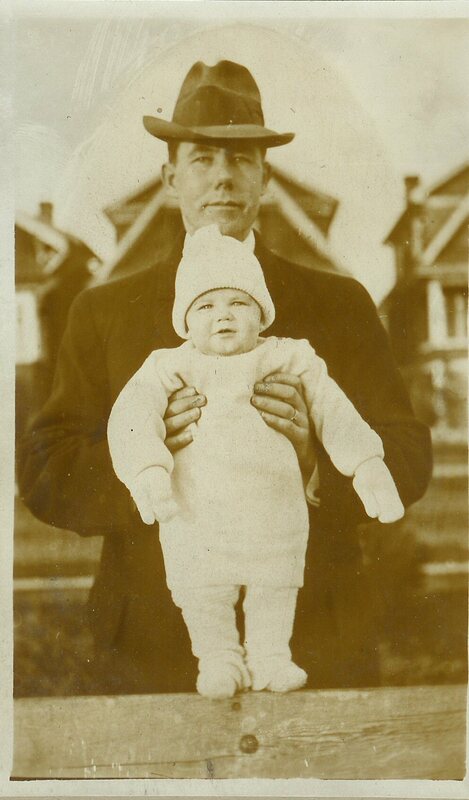 Dr. Boardman was born in Shediac, New Brunswick in 1878. He came to Winnipeg with his parents in 1881. 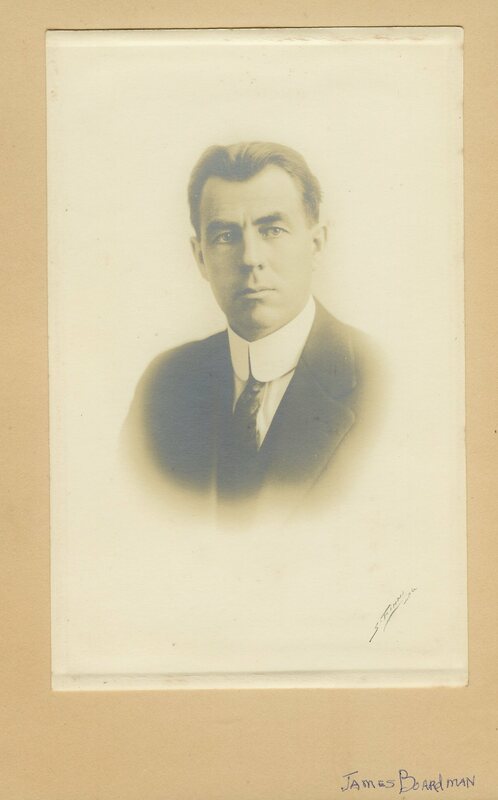 He received his education in the public schools here, and St. John’s college, and graduated as a Doctor of Medicine from the Manitoba Medical college in 1907. He practiced as a general practitioner until 1918, when he took postgraduate studies for the purposed of specializing in urineology. His success in this branch of the professional service was very marked. 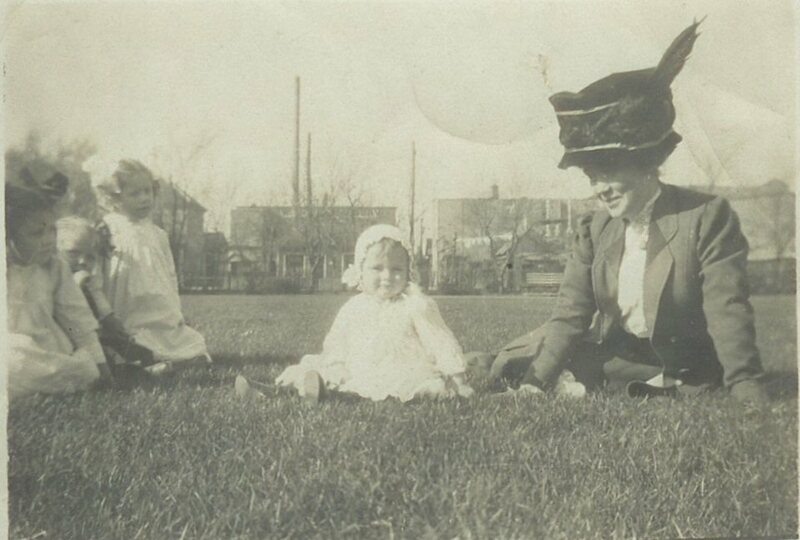 Before entering the Medical college, Dr. Boardman engaged in commercial work, and was also employed with several survey parties engaged in surveying several districts in Manitoba and Ontario. As a young man he took an active part in sports, football, baseball and boxing being his favorites. In later years, the game of golf took up what little time he could devote to out-of-door activities. Heart Trouble Developed – Dr. Boardman enjoyed good health until a few years ago, when trouble of the heart developed. The special treatment and proper care he prescribed for himself prolonged his life. Only last winter his son, Edmond J. Jr. and he, motored to Florida and back. His sojourn of three months was beneficial to his health, and he returned greatly improved. In spite of the handicap of indifferent health, he paid strict attention to his work in medicine. As a member of the Masonic order, Dr. Boardman attained high rank. He was a Past Master of the Ancient Landmark Lodge, 3, D.R.M., Past District Deputy Grand Master of the Grand Lodge of Manitoba, A.F. and A.M.; Past Chairman of the committee on Masonic research and education, Grand Lodge of Manitoba; Past First Principal of Prince Rupert, Chapter 1, Royal Arch Masons of Manitoba, and a member of the Winnipeg Lodge of Perfection #14, Ancient and Accepted Scottish Rite of Freemasonry. 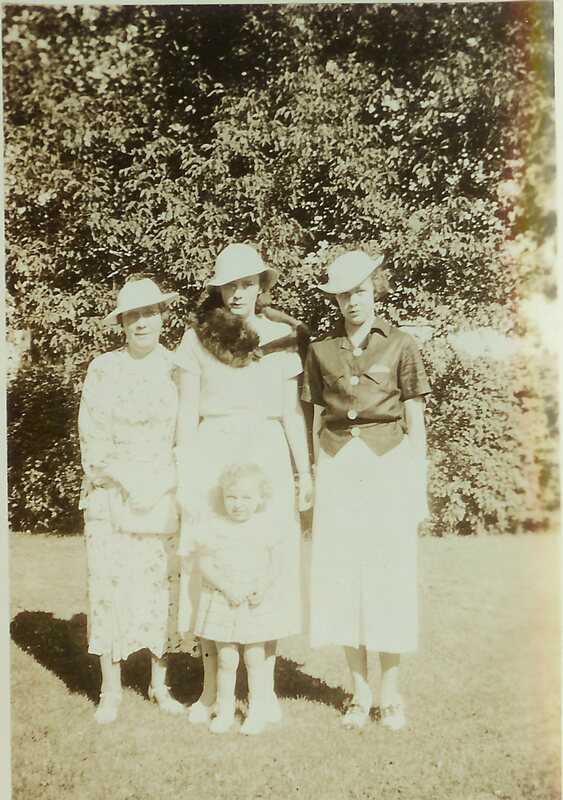 Dr. Boardman is survived by his widow, one son Edmond James; two daughters Mrs. P. D. Campbell… Saskatoon; and Miss Betty, who accompanied him on the trip. His mother resides in Pasadena, Calif. and there are three brothers, John and Robert of Seattle, Wash., and William, Pasadena. A private funeral will be conducted at the residence, 70 Chestnut street; Tuesday afternoon, at 2 o’clock after which the body will be removed to St. George’s church where Canon Martin will officiate at the service.  Interment will be in Elmwood cemetery. The Thomson Company is in charge of the funeral arrangements. Dr. Ross Mitchell said: “I had known Dr. Boardman for more than 30 years and we were at college together. I learned to esteem him highly, and I am extremely sorry to hear of his death. He was a man of fine character, was a splendid worker in his profession and rendered it and community signal service.” Winnipeg Free Press, Monday, May 13, 1935, front page. Jesse followed 21 years later and died 1 August 1955 in Wade, Ontario. I do not have an obituary for her at this time. 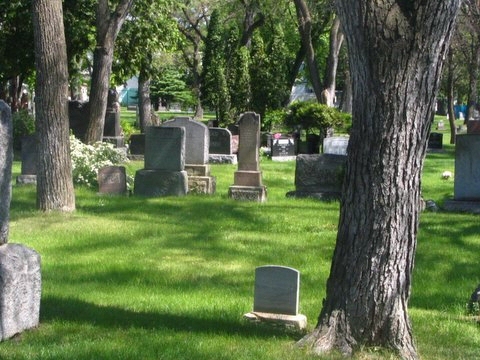 Jesse and James rest peacefully in Elmwood Cemetery in Winnipeg next to his father Edmund Boardman. In the photo Edmund’s tombstone is the obelisk type stone right of the square stone. I have come to the end of my documentation on Edmund James and Jesse Boardman. When I was told he was a doctor, I became somewhat obsessed with finding out more. I never knew my great uncle for he died 13 years before I was born and no talked about him. It was very worth it to learn about him and his wife Jesse. If time and money allow I will do more research for I have just scratched the surface on this most amazing ancestor. Ancient Landmark Lodge #3 – looks like they are now on Facebook. 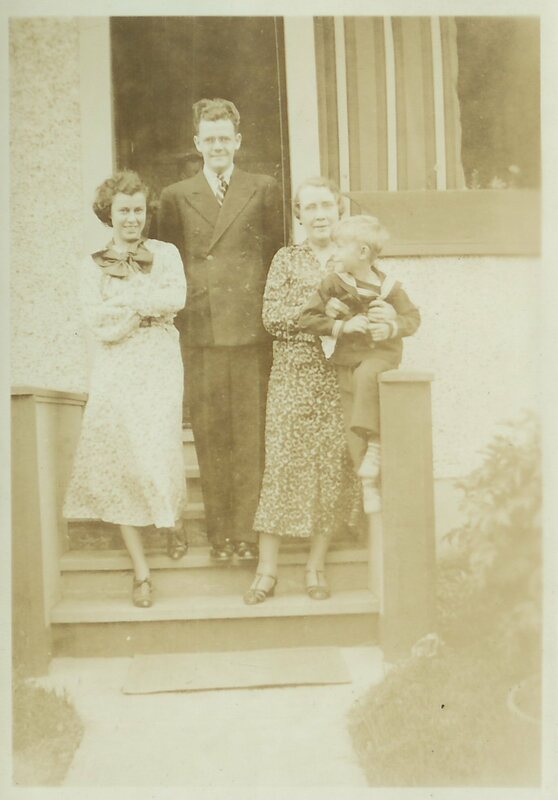 The Manitoba Historical Society website has an article “Memorable Manitobans: Ross B. Mitchell (1880-1972) and a photograph. Dr. Mitchell also gave a tribute to my great-uncle in the obituary above. This entry was posted in Alice Jean Halley Boardman & Peter Duncan Campbell, Betty Boardman and D. John Dalton, BOARDMAN Surname, California, CEMETERIES, Edmund and Charlotte (McMurray) Boardman, Edmund J. Boardman (Jr.) and Norma Slater, Edmund James Boardman, Jesse Potter Duncan, Manitoba, New Brunswick, Ontario, Pasadena, Saskatchewan, Saskatoon, Shediac, Wade, William Thomas Boardman, Winnipeg and tagged Ancient Landmark Lodge, Grand Lodge of Manitoba, Manitoba Medical Association, Manitoba Medical college, Royal Arch Masons of Manitoba, St. George's Church, St. Johns College, urineology, urinology, Winnipeg Lodge of Perfection on February 23, 2012 by BJ MacDonald.